The pressure sensor HySense® PR 400/ PR 410 is a High-End Sensor for the use within Mess-Sets of the MultiSystem 5060 Plus and 8050 family. With measurements of around 10.000 values per second it is especially suited for the measurement of pressure peaks. HySense® PR 400/ PR 410 sensors are smaller than the sensors of the PR 300 series. In addition, it is available with Hydrotechnik ISDS, the automatic sensor detection system. 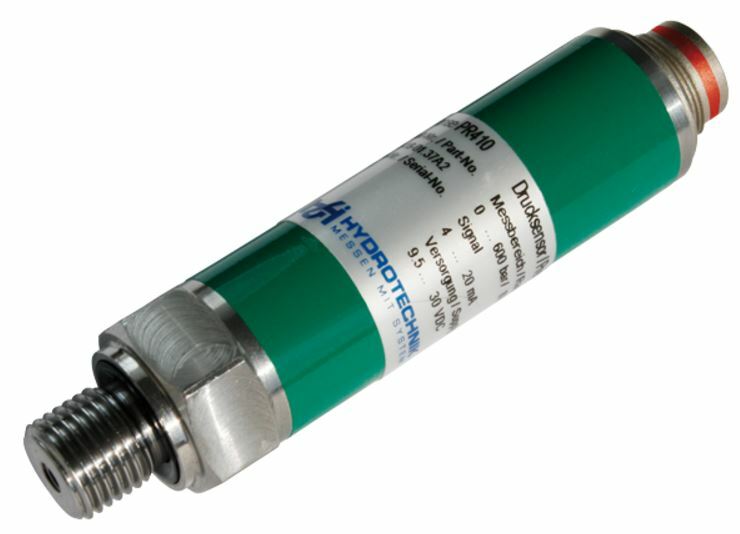 It has a protection type of IP 65 (with connected measurement cable). You can get HySense® PR 400/ PR 410 from 0 until max 60 bar (orange), from 0 to max 200 bar (yellow), from 0 to max 400 bar (blue) as well as 0 to max 600 bar (green). The different colors are made for easy application and identifying the sensors.